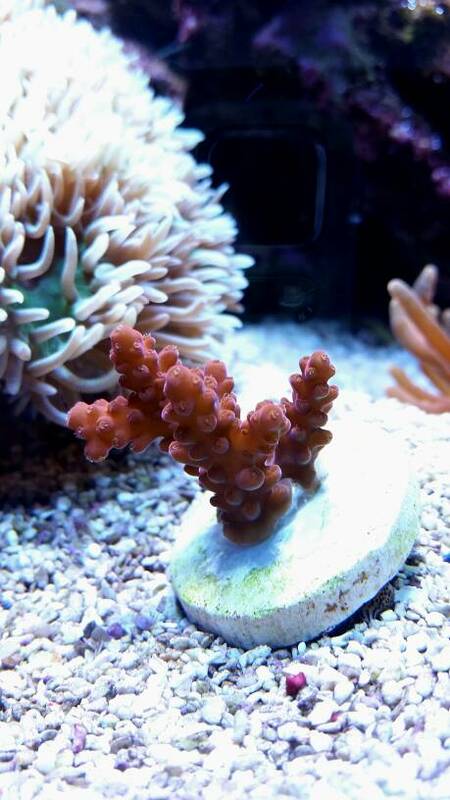 I'm slowly trying to be more active on the larger reef forums. Here's a video of my system I took a couple months ago. Enjoy! 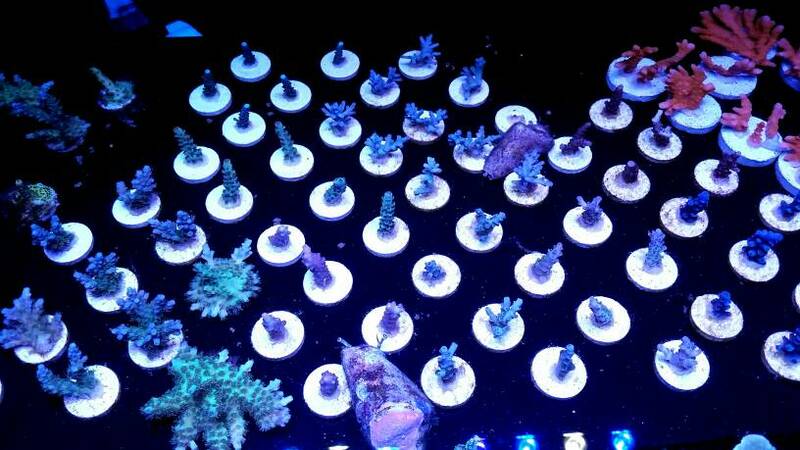 Gorgeous reef, @MrReefK check this out. Wow nice setup! I love you rock scape. Felt like I was the scuba dividing in your tank. 😀 I enjoyed it thanks. Beautiful tank! I love all the opens space between the two islands. How does your Emperor behave in there? Thanks all! I appreciate the kind words! That was all shot with my Samsung Galaxy S5 and the motion smoothed out with Youtube's built-in video editor. 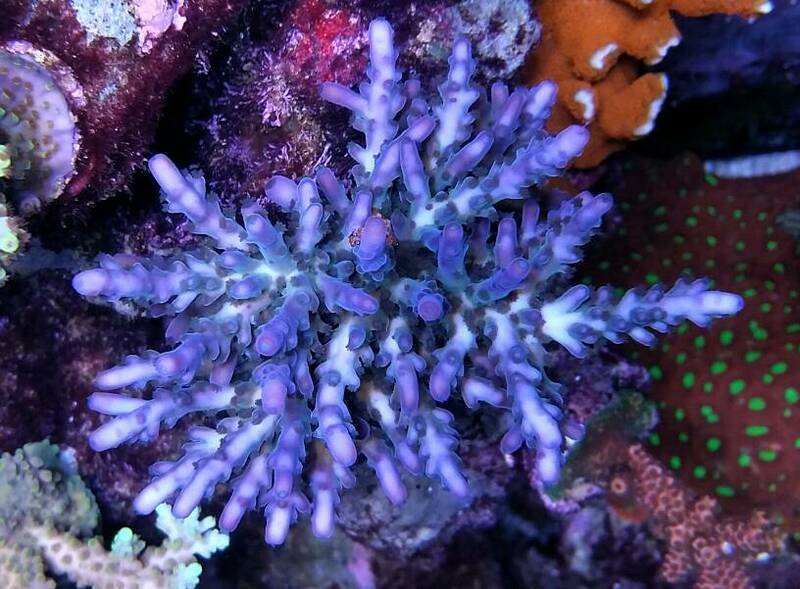 The emperor behaves itself well, when polyps aren't involved. 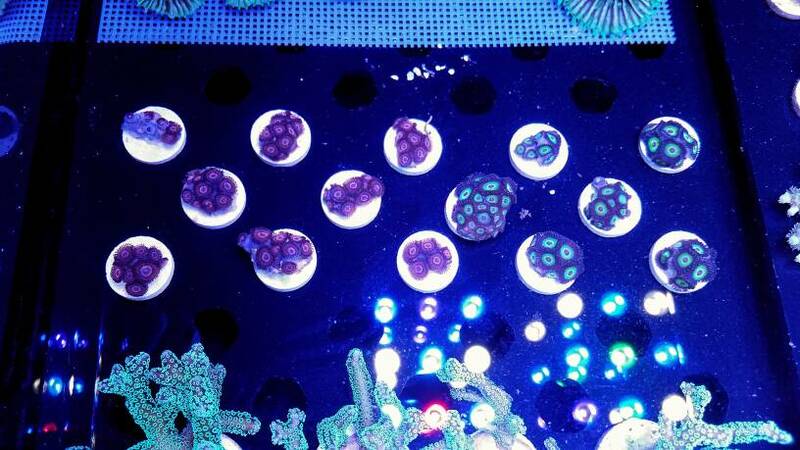 You can see the devoid of zoas/palys in there for the most part. He'll nibble here and there on a few acros on occasion but nothing too seriously that warranted his removal up to this point. He's definitely the centerpiece fish in the tank and commands attention from everybody who looks at him. Haha. Some pics I took for fun yesterday. That RCA Baton Rouge Tort is coloring up nicely! Can anybody spot the ice fire echinata? No idea what this is but the subtle colors are mesmerizing to me. What better backdrop than a Colorado Sunburst anemone behind a Pearlberry colony? You got me. It's just pretty. Older pics from a couple months ago. Video showing the fish livestock. great tank .ive been hearing more and more of the no water changes and the tanks are lookin better if not just as good as tanks that do do them! !do yu d the triton testing? And that first video is really cool.. Sometimes it seems as though your phone is actually in the water when you get closer in. Are you zooming in and out while shooting that? I like the fact that is doesn't over saturate the colours (too much) like the iPhone does..
Beautiful tank! Definitely helps me figure out what to do. 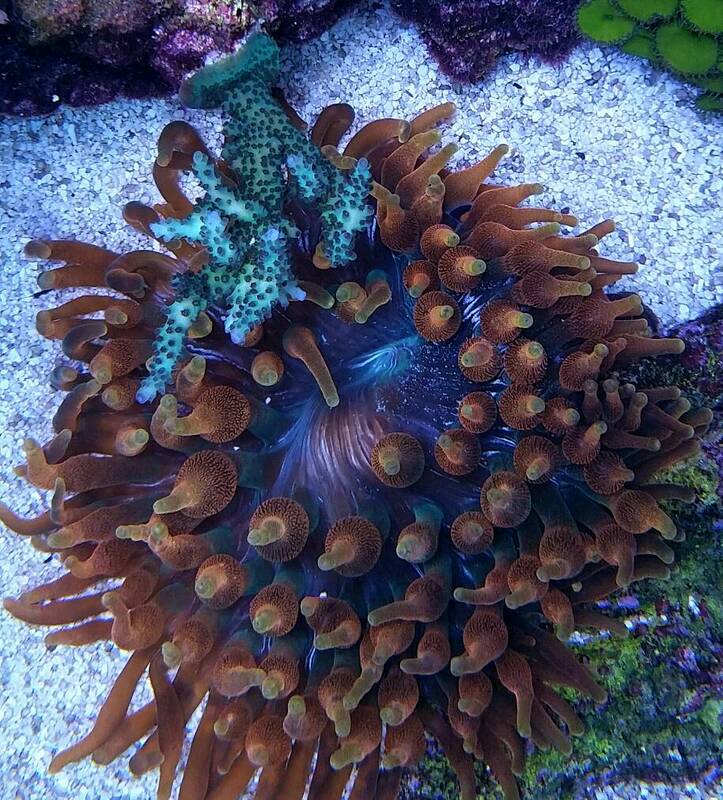 Do you have any problems with your anemones? 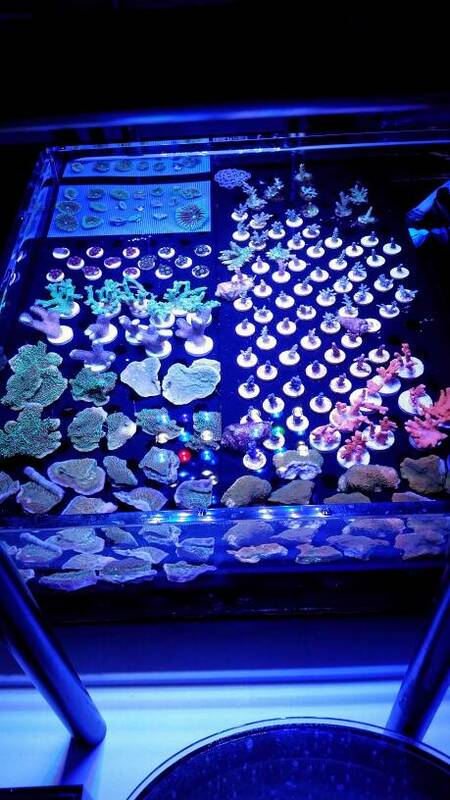 I had the same colony of clones through both my old 125-gallon tank and my current 215-gallon tank with no issues with the no water changes. The only issue I've run across is when I introduced the Colorado Sunburst anemone, it got a really bad bacterial infection and I had to treat it with Cipro. It's be fine ever since but I don't think that's a correlation with the no water changes. I do an annual Triton water test to monitor trend changes but don't really use it to base any of my dosing off it. I still don't 100% trust their results are as accurate as they imply but I am okay with using it for monitoring of annual trends. Basically, I wouldn't use a low potassium result from Triton as an indicator to dose more potassium, I would just monitor it to see how much it changes year to year and base my dosing on my own test kits. Ran it through it's first test run. It's going to be real hard packing this thing up between swaps! San Antonio, here I come this Sunday! 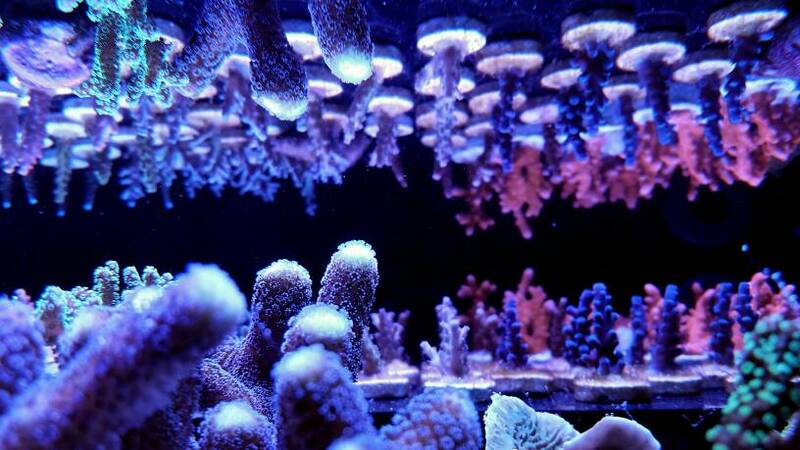 Beautiful reef and wonderful colors on the corals mate, the videos are great. 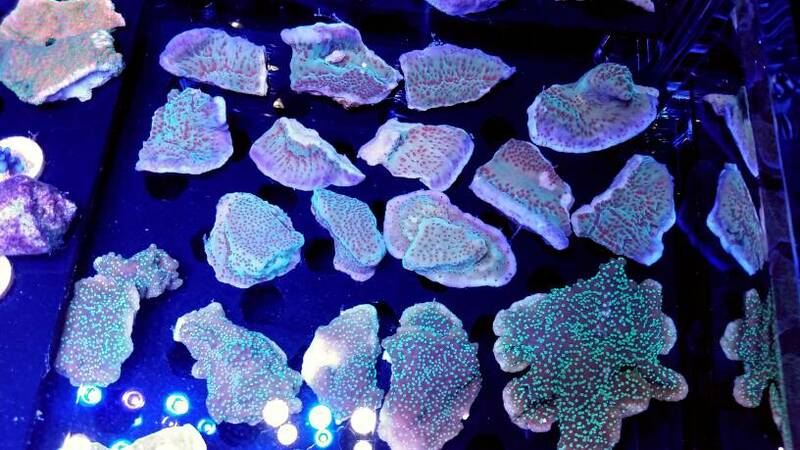 As i have no idea about frag selling can i ask how much the average price that frags like your nice blue ones go for at meetings such as the one you're going to. The Oregon Tort usually runs about $50/USD at the swaps but I see it online for $80-$120 often. The rest like the ORA Hawkins echinata and ORA Chips are usually in the $30-40 range. 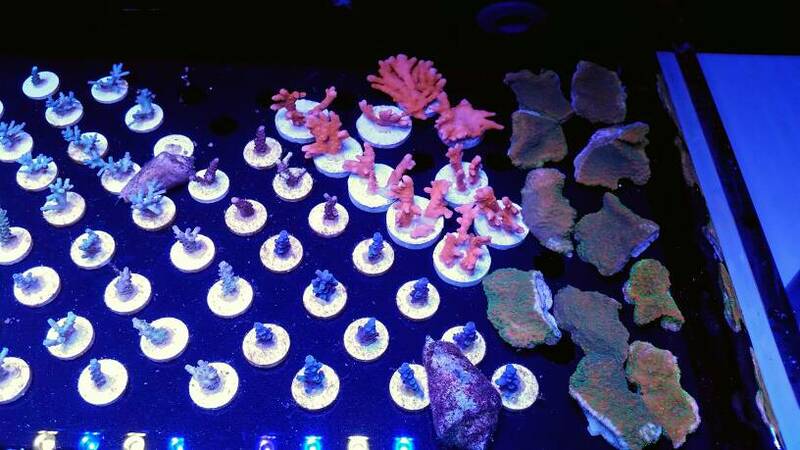 Unnamed corals I usually see them in the $10-$25 range, depending how nice they are. Thanks for the info mate, i reckon those prices are bloody reasonable compared to a lot of online sellers. 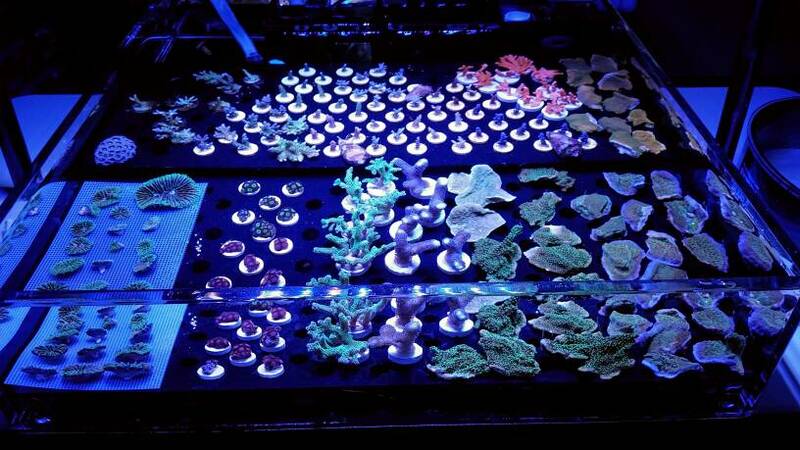 How long have you had the OT growing in your system if i can ask as i believe they are relatively slow growers and those frags look very decently sized. I've had the Oregon Tort for about 4 years now. It actually is a decent grower, despite the reputation for being slow. It'd be gigantic if I'd actually left it alone and didn't frag it so much.